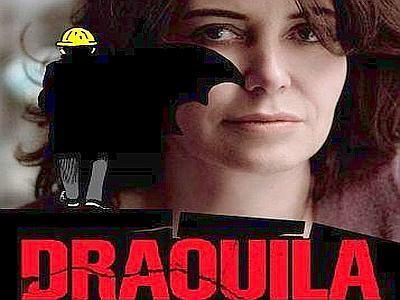 The movie Draquila, Italia che trema was impatiently expected in Cannes festival in May 2010. Quite rightly. Sabina Guzzanti, the moviemaker has made a film that everyone interested in Italian politics should see. Sabina used to have a show on RAI, the Italian state-owned broadcaster, until she was fired (had the Consiglierre taken umbrage at her sardonic talent?) It is no secret that freedom of speech has suffered a lot those past ten years in Italy. Since then, fighting to express herself, Guzzanti has given us some pearls of independent cinema such as Viva Zapatero! and Sympathy for the Lobster. 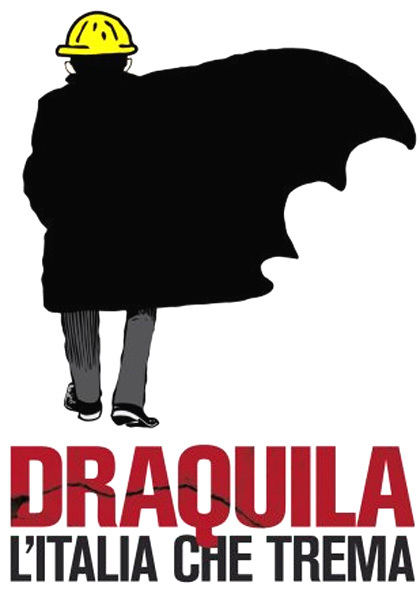 Italian Premie Minister Berlusconi is cast as the principle vampire in this film. The comparison seems funny but it is not. Guzzanti meets all the actors of this tragedy, tries to understand what happened since the earthquake. The assessment would be pathetic if not terrifying. Guzzanti shows that the government i.e. mostly Berlusconi and the Civil Guard (Protezione civila) have taken advantage of the disaster of the Aquila to impose a vast contruction plan and restore his image and popularity. But these developments have cost far more than if the city of Aquila had been rebuilt stone by stone. People have been forced to leave the town , forbidden to come back (the centre access was closed off by the army for months). Some homeowners could have fixed up their properties without much of a fuss but were forced to live in encampments like refugees for months. The price-tag for the new constructions has broken Italian records coming in at an eye-watering 2700 €/m2 set against the national average of 900 €/m2. The premise of the film is that real estate developers and Berlusconi’s cronies have worked hand in hand, tenders being boosted by 80 % in some cases. Even more concerning is that the level of human loss could have been lessened if the authorities had listened or taken heed of numerous warnings given by experts that an earthquake was brewing. Add to that the plight of thousands of people who did not receive any accommodation as promised by the Italian government and this film suggests that Italy is slowly but surely being corrupted by the state itself. The documentary is more than just the story of a journalist imitating Berlusconi. (There is in fact just one sequence showing how much her comic work is appreciated in her country). It is more the story of a journalist trying to do her work which leads to a less than flattering portrayal of her country. Two memorable characters stick in the mind: this admirable old professor, resistant, the only one still living in a deserted Aquila, the only other human presence being the army. And a father, explaining how he feels responsible for the death of his children because he believed the news when it said there was no danger. Berlusconi’s attitude to the rights of women, homosexuals and his own citizens is indeed shameful. NLP’s political troubadour Willie Giles has recorded a version of Italian protest song Bella Ciao, a song first sung by left-wing anti-fascists from the resistance movement in Italy and more recently chanted by the Italian women who protested against Berlusconi on the Giorno delle Donne.